Attorneys requesting CJA funding for any service providers above $800 per case must submit – in advance – an AUTH in eVoucher. Nunc pro tunc funding requests are highly disfavored and will only be paid upon a written showing of extraordinary circumstances set forth in an AUTH and expressly approved by the presiding judge. Counsel must consider geographic proximity when seeking funding for any service provider and must be aware of the Court's CJA Travel Policies. an explanation of why the requested services are necessary for adequate representation and why compensation in the amount requested is necessary to provide fair compensation for those services under the CJA as required by 18 U.S.C. § 3006A(a) and (e)(1) and (3) and the Guide to Judiciary Policy, Vol.7, §§ 310.10.10 & 310.20.20.
which tasks remain to be completed. Once CJA funds are authorized, counsel should execute an engagement letter (see attached sample) with that service provider that clearly sets forth the amount of payment authorized; the applicable hourly rate; and an advisement that all payment is subject to a reasonableness review and, therefore, is not guaranteed by an approved AUTH. Paralegals and investigators are paid different hourly rates depending on the specialized skills of the service provider and the task performed to advance the case. Counsel must review the Court's paralegal and investigator rate policy (set forth in the attached March 29, 2017 Memo re Policy and Procedures Regarding Hourly Rate Increases for Paralegals and Investigators) before submitting funding requests for these services. When funding requests for paralegals are submitted, attorneys must (1) explain how the paralegal qualifies under Business and Professions Code § 6450(c) and specifically identify the subsection the paralegal qualifies under; and (2) address whether and how the paralegal satisfies the MCLE requirements under Business and Professions Code § 6450(d). If the paralegal does not meet these criteria, counsel may seek special approval from the CJA Committee Chair in exceptional circumstances. Counsel may request CJA funding for associate counsel by submitting an AUTH in eVoucher; however, these requests will be forwarded to the presiding judge for approval. Per the Court's Associate Counsel Policy, counsel must provide in the AUTH: (1) a list of discrete tasks to be performed by associate counsel that will not be duplicated by lead counsel; (2) a recent writing sample from associate counsel; (3) associate counsel’s resume; and (4) the appropriate hourly rate, as determined by the Associate Counsel Policy. 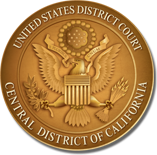 Associate counsel must be a member in good standing of the California State Bar, and any application for funding must include associate counsel’s bar number. If the requested associate counsel does not meet the criteria set forth in the Court's Associate Counsel Policy, counsel may seek special approval from the CJA Committee Chair in exceptional circumstances. When requesting funding for experts, counsel must make a good faith effort to negotiate a reasonable hourly rate to pay the expert especially as this relates to travel time. Counsel must consult the Court's CJA Service Providers Maximum Rates table before contacting any expert expected to be paid by CJA funds.